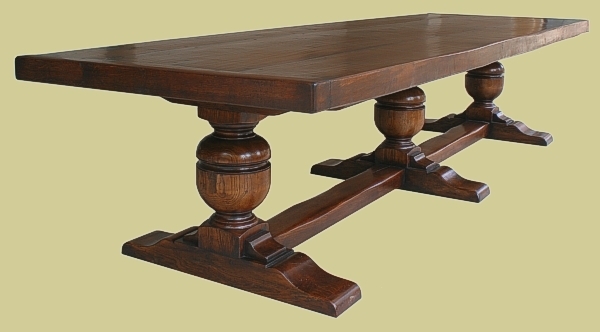 17th century style, so called 'Farthingale' type oak chairs, with a bulbous turned pedestal dining table. The chairs are upholstered in a French sourced claret colour velour and all the pieces are finished in our 'Warm Chestnut' colour and medium aged. 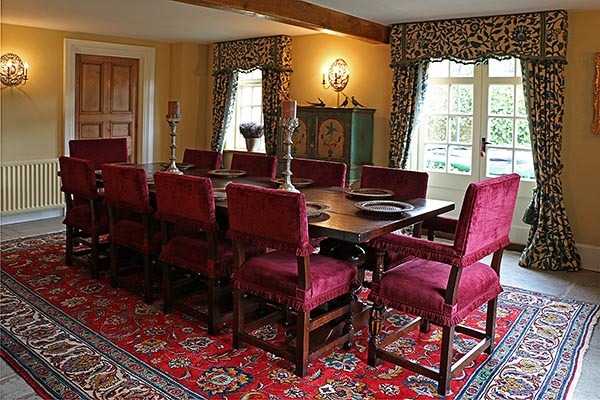 Shown here in the dining room of our clients Warwickshire country home. The table is a scaled down version of the one in the link below, i.e. 2-pedestal with thinner top and smaller section under-frame.